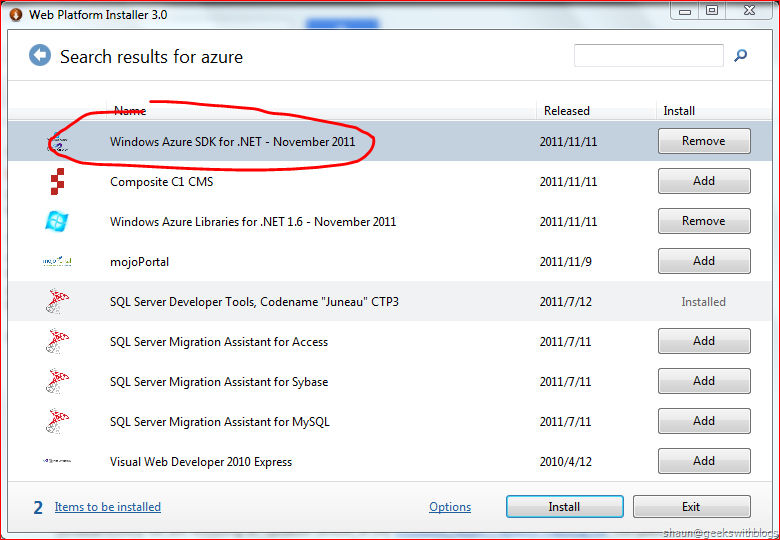 Microsoft has just announced the Windows Azure SDK 1.6 and the Windows Azure Tools for Visual Studio 1.6. Now people can download the latest product through the WebPI. The SDK 1.6 can be stayed side by side with the SDK 1.5, which means you can still using the 1.5 assemblies. But the Visual Studio Tools would be upgraded to 1.6. 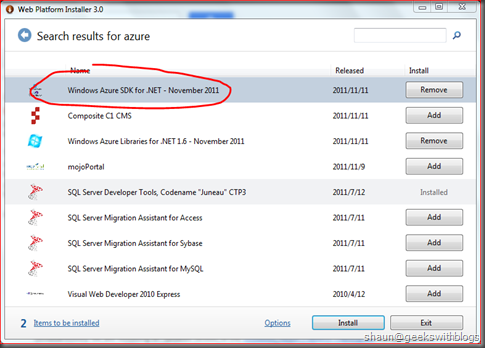 Different from the previous SDK, in this version it includes 4 components: Windows Azure Authoring Tools, Windows Azure Emulators, Windows Azure Libraries for .NET 1.6 and the Windows Azure Tools for Microsoft Visual Studio 2010. 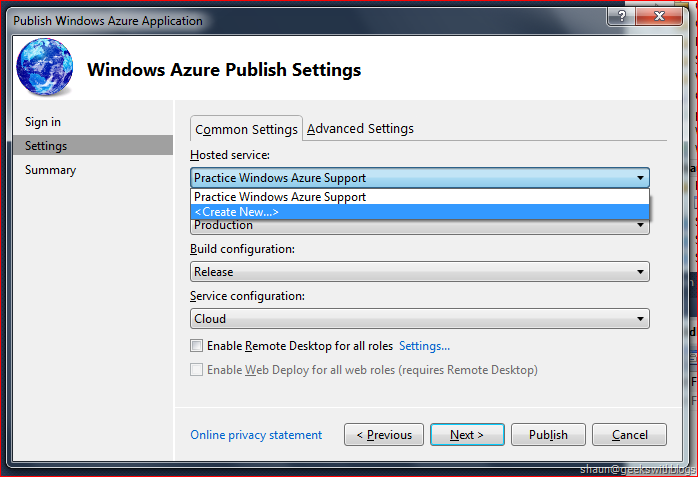 Publishing Enhancement: More easily connect to the Windows Azure when publish your application by retrieving a publish setting file. It will let you configure some settings of the deployment, without getting back to the developer portal. 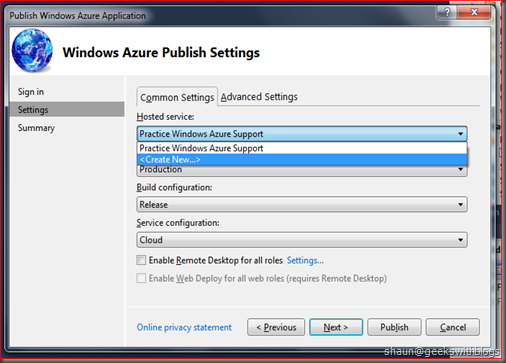 Multi-profiles: The publish settings, cloud configuration files, etc. will be stored in one or more MSBuild files. It will be much easier to switch the settings between vary build environments. So let’s have a look about the new features of the publishing. 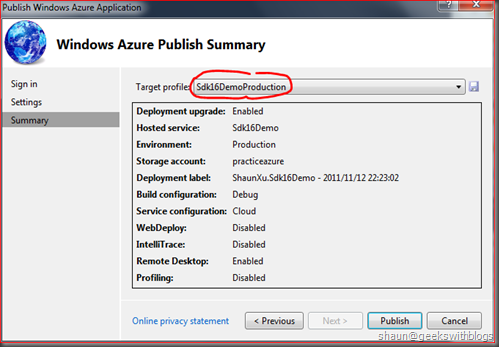 Just create a new Windows Azure project in Visual Studio 2010 with a MVC 3 Web Role, and right-click the Windows Azure project node in the solution explorer, then select Publish, we will find the new publish dialog. 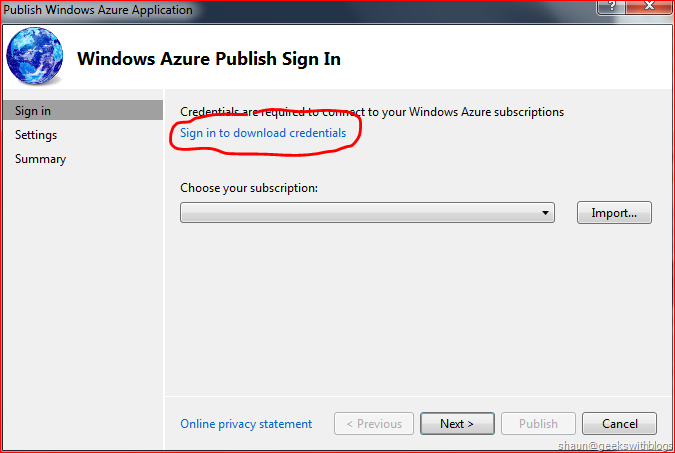 In this version the first thing we need to do is to connect to our Windows Azure subscription. Click the “Sign in to download credentials” link, we will be navigated to the login page to provide the Live ID. 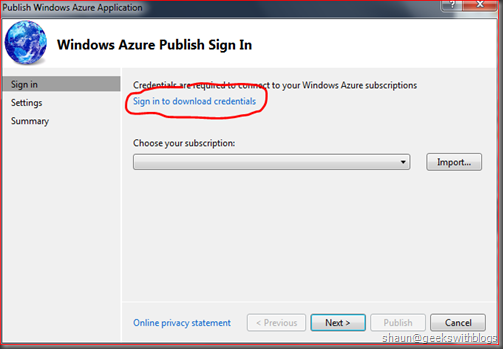 The Windows Azure Tool will generate a certificate file and uploaded to the subscriptions those belong to us. 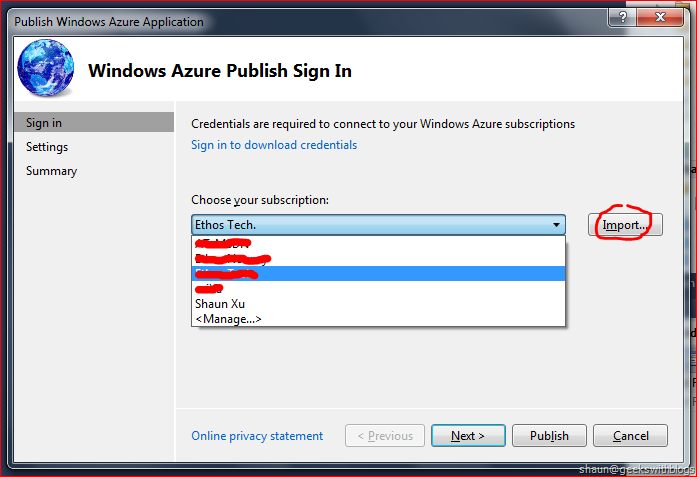 Then we will download a PUBLISHSETTINGS file, which contains the credentials and subscriptions information. 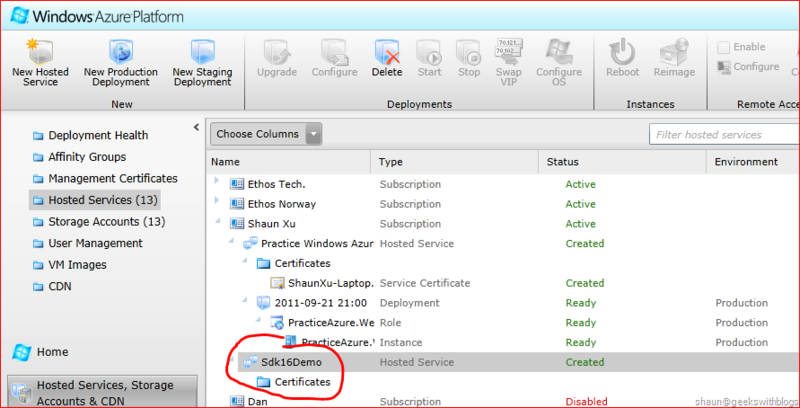 The Visual Studio Tool will generate a certificate and deployed to the subscriptions you have as the Management Certificate. The VS Tool will use this certificate to connect to the subscription in the next step. In the next step, I would back to the Visual Studio (the publish dialog should be stilling opened) and click the Import button, select the PUBLISHSETTINGS file I had just downloaded. Then all my subscriptions will be shown in the dropdown list. Select a subscription that I want the application to be published and press the Next button, then we can select the hosted service, environment, build configuration and service configuration shown in the dialog. In this version we can create a new hosted service directly here rather than go back to the developer portal. Just select the <Create New …> item in the hosted service. What we need to do is to provide the hosted service name and the location. Once clicked the OK, after several seconds the hosted service will be established. If we went to the developer portal we will find the new hosted service in my subscription. a) Currently we cannot select the Affinity Group when create a new hosted service through the Visual Studio Publish dialog. b) Although we can specify the hosted service name and DNS prefixing through the developer portal, we cannot do so from the VS Tool, which means the DNS prefixing would be the same as what we specified for the hosted service name. For example, we specified our hosted service name as “Sdk16Demo”, so the public URL would be http://sdk16demo.cloudapp.net/. After created a new hosted service we can select the cloud environment (production or staging), the build configuration (release or debug), and the service configuration (cloud or local). 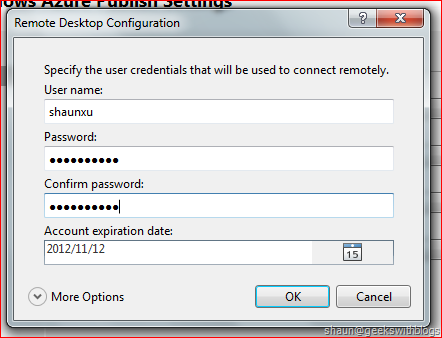 And we can set the Remote Desktop by check the related checkbox as well. One thing should be note is that, in this version when we set the Remote Desktop settings we don’t need to specify a certificate by default. This is because the Visual Studio will generate a new certificate for us by default. 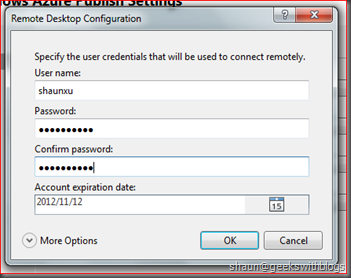 But we can still specify an existing certificate for RDC, by clicking the “More Options” button. Visual Studio Tool will create another certificate for the Remote Desktop connection. It will NOT use the certificate that managing the subscription. We also can select the “Advanced Settings” page to specify the deployment label, storage account, IntelliTrace and .NET profiling information, etc..
Press Next button, the dialog will display all settings I had just specified and it will save them as a new profile. The last step is to click the Publish button. 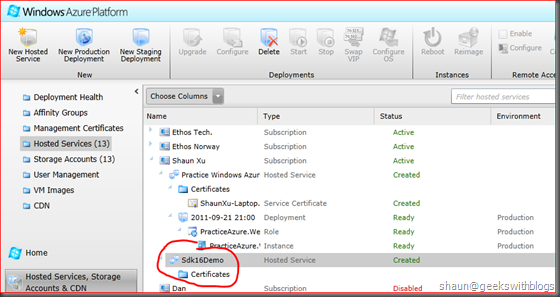 Since we enabled the Remote Desktop feature, the first step of publishing was uploading the certificate. 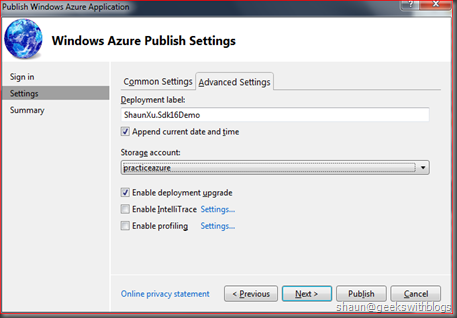 And then it will verify the storage account we specified and upload the package, then finally created the website in Windows Azure. 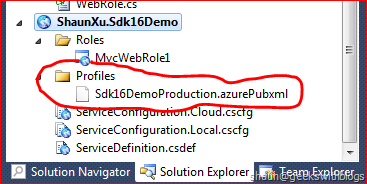 After published, if we back to the Visual Studio we can find a AZUREPUBXML file under the Profiles folder in the Azure project. It includes all settings we specified before. If we publish this project again, we can just use the current settings (hosted service, environment, RDC, etc.) from this profile without input them again. And this is very useful when we have more than one deployment settings. 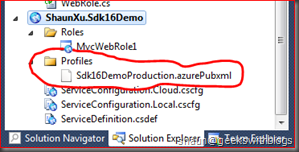 For example it would be able to have one AZUREPUBXML profile for deploying to testing environment (debug building, less roles with RDC and IntelliTrace) and one for production (release building, more roles but without IntelliTrace). 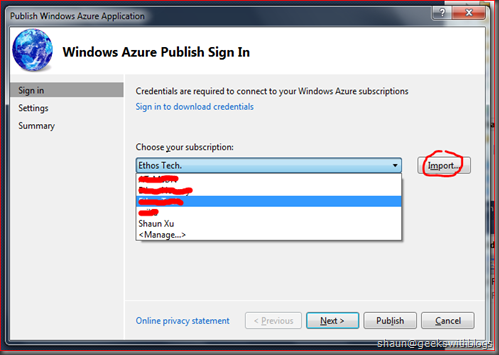 Let’s change some codes in the MVC pages and click the Publish menu from the azure project node. 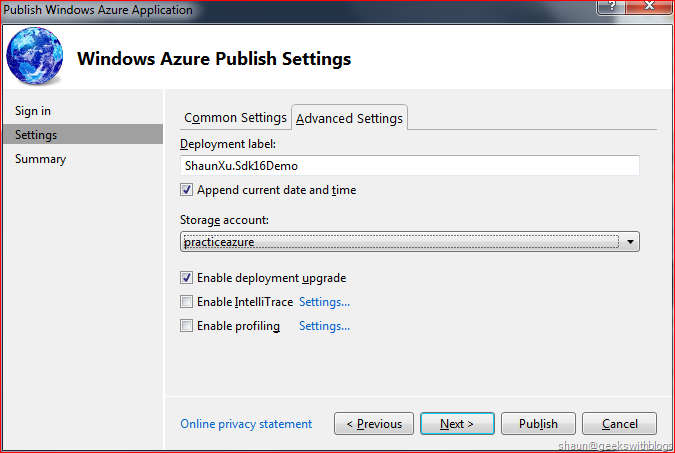 No need to specify any settings, here we can use the pervious settings by loading the azure profile file (AZUREPUBXML). After clicked the Publish button the VS Tool brought a dialog to us to indicate that there’s a deployment available in the hosted service environment, and prompt to REPLACE it or not. Notice that in this version, the dialog tool said “replace” rather than “delete”, which means by default the VS Tool will use In-Place Upgrade when we deploy to a hosted service that has a deployment already exist. After click Yes the VS Tool will upload the package and perform the In-Place Upgrade. If we back to the developer portal we can find that the status of the hosted service was turned to “Updating…”. 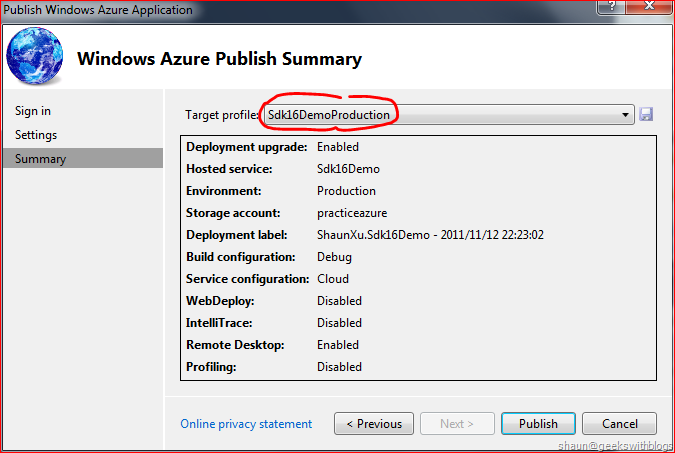 But in the previous SDK, it will try to delete the whole deployment and publish a new one. When the Microsoft announced the features that allows the changing VM size via In-Place Upgrade, they also mentioned that in the next few versions the user experience of publishing the azure application would be improved. The target was trying to accomplish the whole publish experience in Visual Studio, which means no need to touch developer portal any more. In the SDK 1.6 we can see from the new publish dialog, as a developer we can do the whole process, includes creating hosted service, specifying the environment, configuration, remote desktop, etc. values without going back the the developer portal.